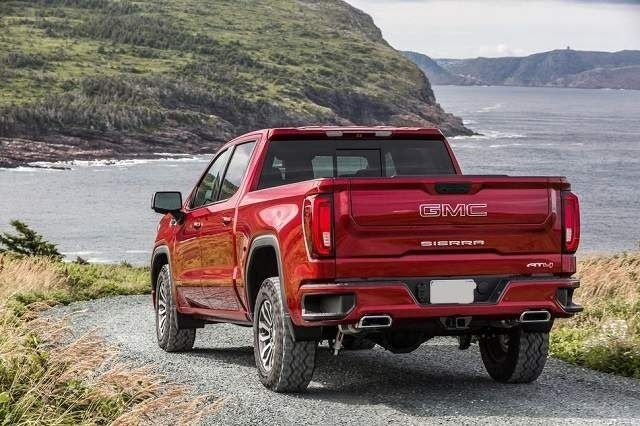 After the recent redesign, we are pretty sure that the 2020 GMC Sierra 1500 will continue in the same way, without bigger changes. The new generation of this full-size truck came last year. Therefore, it seems irrational to expect bigger changes already for the second production year. The upcoming model will continue with the same design characteristics, same styling, interior design, engines etc. On the other side, we could see a couple of tweaks in terms of features, but don’t expect to see anything significant. Also, count on a couple of new color options. Other than that, things are about to remain the same. 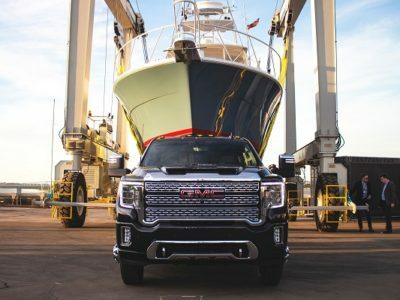 Therefore, don’t expect to see 2020 GMC Sierra 1500 any earlier than usual. It should hit the market sometime late in the year. 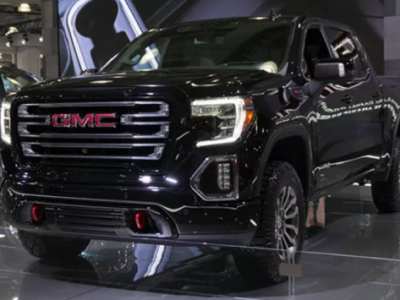 In terms of base design characteristics, the 2020 GMC Sierra 1500 will continue in the same way. This model shares a lot of parts with its well-known sibling, Chevy Silverado. Mechanically, these two models are pretty much identical. The recent redesign has brought a lot of novelties to both models. First of all, there is a new platform. It is a new T1 architecture, which will be used for several new GM models in the future as well. This includes a complete SUV lineup too, models like Chevy Tahoe and Suburban, Cadillac Escalade etc. Compared to the previous model, the new generation of this truck is lighter and offers better overall efficiency. Also, you can count on better handling and overall driving characteristics. Once again, don’t expect bigger changes compared to the current model. 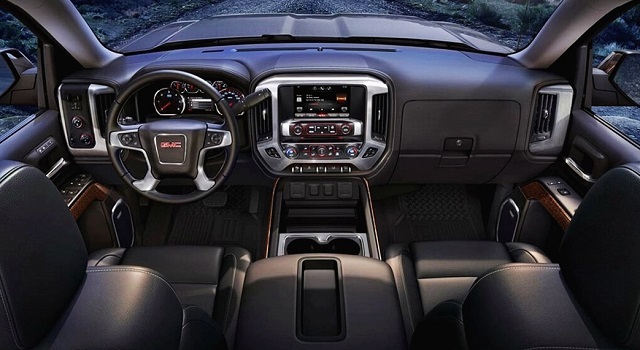 The 2020 Sierra 1500 will continue with the same interior design that debuted in the redesigned model. That would mean a pretty nice cabin layout, which has a lot of things in common with the new Silverado, but plenty of distinctive details as well. The overall quality is pretty good. Most materials are soft on touch and the overall feel is pretty crossover-like. The Ram 1500 is probably the only competitor that features finer cabin. Also, we have to mention that the new Sierra features pretty good sound insulation and the comfort and overall ride quality is pretty good and convenient. Of course, count on familiar body styles in the offer – Regular, Double and Crew Cab layouts. Depending on the cab size, seating capacity goes from three to six people. 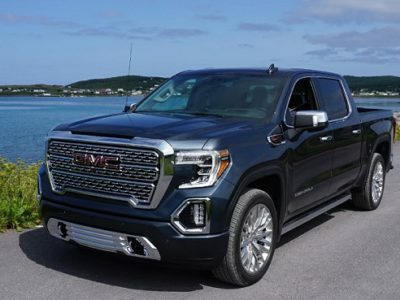 The 2020 GMC Sierra 1500 will come with a couple of additions in terms of standard equipment, but the overall organization of equipment groups will remain the same. 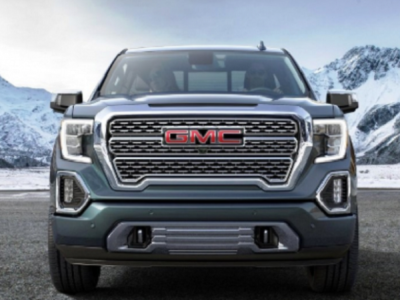 Therefore, count on following trim levels – base, SLE, Elevation, SLT, AT4, and Denali. The base Sierra comes with standard features like steel wheels, automatic xenon headlamps, power locks, a locking tailgate, power windows etc. In terms of tech goodies, you can count on a touchscreen interface, Android Auto, Apple CarPlay, 6-speaker audio etc. The SLE is next in the line. This one comes with additions like a bigger touchscreen, leather-wrapped steering wheel, alloy wheels, damped tailgate etc. The Elevation trim includes all above, but also adds a lot of visual upgrades, such as 20-inch black alloy wheels, LED foglights and body-colored exterior trim. Stepping up to the SLT trim level, you can count on several utility and off-road upgrades, such as a locking rear differential, a MultiPro configurable tailgate, a trailer brake controller and trailering package. Also, this trim features standard driver memory settings. The AT4 is pretty much about off-road upgrades. It features a 2-inch higher ground clearance, as well as things like Rancho shock absorbers, hill descent control, four-wheel drive with a two-speed transfer case, a skid plates, selectable traction control etc. 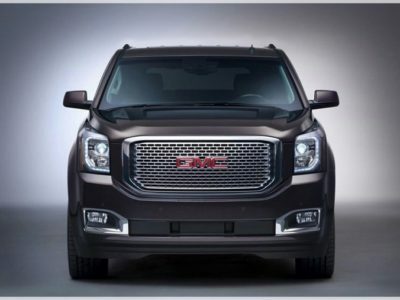 The Denali is a well-known top-range trim of all GMC models. Of course, there are various styling updates, but also more standard equipment. Some of the highlights are things like a head-up display, a rear camera mirror, exclusive adaptive suspension dampers, 20-inch wheels etc. When it comes to the powertrain, things will remain pretty much the same. 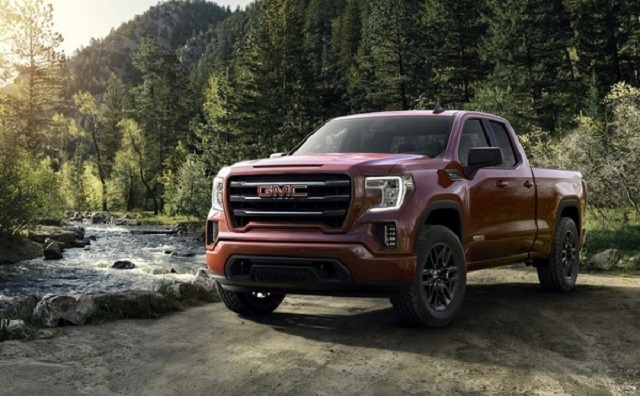 The 2020 Sierra 1500 will continue with standard 4.3-liter V6, which is good for about 280 horsepower. Of course, a new 2.7-liter four-cylinder is in the offer as well. This one delivers around 310 horsepower and 350 pound-feet of torque. Two familiar V8 units are in the offer as well. A 5.3-liter unit is good for about 355 horsepower, while a bigger 6.2-liter engine delivers around 420 hp. 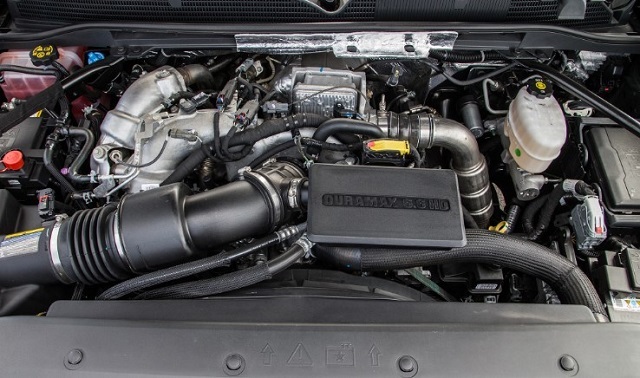 Finally, there is a 3.0-liter turbodiesel engine, which delivers around 282 horsepower and 450 pound-feet of torque. 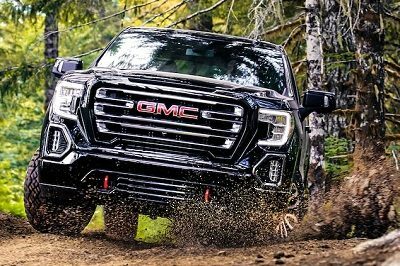 We expect 2020 GMC Sierra 1500 to arrive sometime late in the year. When it comes to the price, we shouldn’t see bigger changes. Base models will probably go around 33.500 dollars.